Psoriasis treatments need to be effective on a cellular level. Treating this skin disorder in the cells may help prevent the appearance of scales and yellowish plaque. The patches may itch or hurt, especially if they are scratched. Doctors believe that psoriasis is caused by a problem with the immune system. For some reason, a faulty signal in the immune system tells the skin to shed its cells too quickly. As a result, the dead cells build up into the silvery scales characteristic of psoriasis. The skin underneath is usually inflamed and appears pink or red. Topical treatments are applied directly to the skin. Phototherapy involves the use of special lights. Systemic therapy refers to pills and injections that treat the immune system. One of the frustrations of psoriasis treatment is that something that works well for one person might not help someone else. Also, treatments can work for a while and then stop. It may take a process of trial-and-error to find the right regimen. Moisturizers. Using a heavy moisturizing cream after bathing can help with mild psoriasis. Moisturizing bath oils can help, too. Coal tar. Products containing coal tar can help relieve symptoms. Look for gels, ointments, and shampoos. Several online retailers carry coal tar products like Oxipor, including AmericaRX or Shop in Private. Drugstores often carry coal tar shampoos, such as Neutrogena T-Gel, which is used to treat scalp psoriasis. Unfortunately, products with a high concentration of coal tar tend to have a strong, unpleasant odor and may discolor clothing. Hydrocortisone cream. Hydrocortisone is a type of steroid. It helps calm the immune reaction at the surface of the skin. The over-the-counter creams can be applied once or twice a day over small areas. It is important to follow the label's instructions and check with a doctor before using these creams over large areas or for long-term periods. Oatmeal baths. Colloidal oatmeal baths, such as Aveeno Soothing Bath Treatment, can help soothe itching and remove scales. Epsom salts or Dead Sea salts. Soaking for about 15 minutes in an Epsom salt or Dead Sea salt bath can also help remove scales. Follow up by applying a generous amount of moisturizer to lightly damp skin; this will seal the moisture. Salicylic acid. Creams and shampoos containing salicylic acid may help remove the scales. Simply getting out into the sun can help, too. Ultraviolet light, which is part of natural sunlight, actually helps calm the immune reaction. Daily exposure to sunlight (in short doses, not long enough to lead to sunburn) can improve the rash and even diminish the occurrence of psoriasis over time. More potent steroid creams. Strong steroid creams can help when over-the-counter versions fail. However, long-term use can cause thinning of the skin. They also should not be used long-term over large areas of the skin, because the steroids can be absorbed into the body and cause serious problems. Artifical light therapy. Artificial sources of ultraviolet light can be used in the doctor's office, sometimes in combination with medicines that make the skin more sensitive to the light rays. Medicines to suppress the immune system. Severe cases often improve with medications that reduce the action of the immune system. Methotrexate (for severe psoriasis, often known as Trexall); etanercept (an injectable medication known as Enbrel); and cyclosporine (a liquid or pill used only for very severe cases) are some choices. These medicines require close supervision, because suppressing the immune system increases the risk of developing potentially serious infections. Other medications. 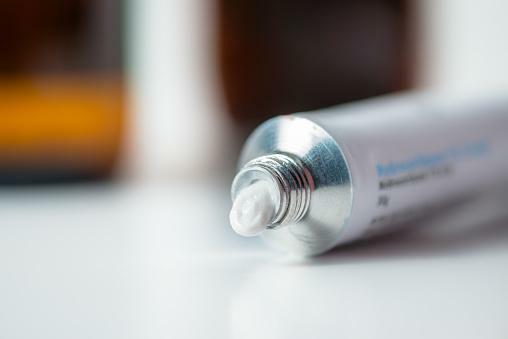 Tazarotene is a topical retinoid, similar to the medicine in the acne pill Accutane. It may help with severe cases. The topical preparation Calcipotriene, a special form of Vitamin D, seems to slow down the overgrowth of skin cells. Like all medications, these creams do have side effects, and they're not right for everyone. Researchers are working to find new and better types of psoriasis treatment. Medicines already in use for other skin conditions, such as eczema, may also be helpful for psoriasis. As doctors learn more about how and why psoriasis happens, new treatments may become available. If you have psoriasis and haven't been to the doctor lately or are unsatisfied with your current treatment, it may be worth a visit to learn more about these options. Psoriasis is a common condition that affects nearly 7.5 million Americans, according to the National Psoriasis Foundation. Many treatments exist, ranging from simple home remedies to strong medications, but it is extremely important to consult with a dermatologist prior to trying anything new. With patience, attention and diligence, it is possible to lead a comfortable and pain-free life even with the discomfort typically associated with psoriasis.